You don’t need any other game to play this, but you can play with any set. 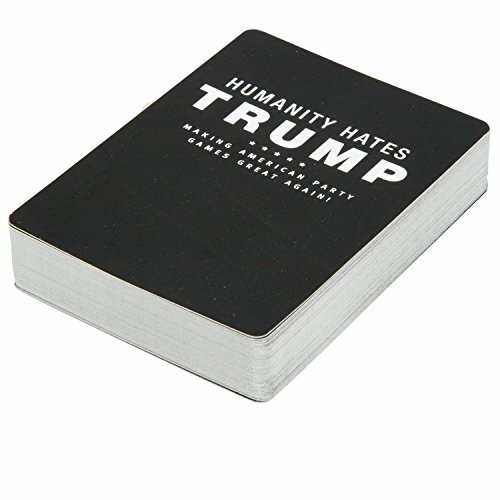 Humanity really does hate Trump and the whole 2016 Election. 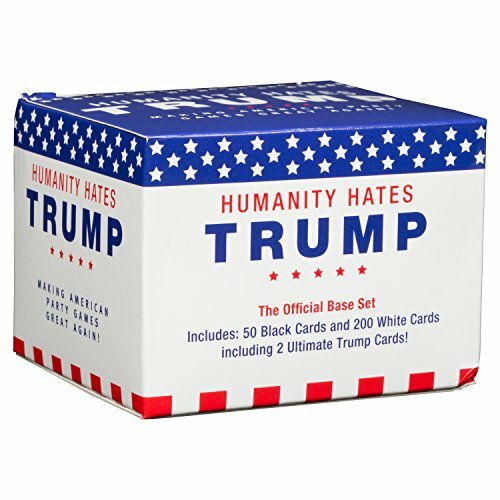 Horrible People can now bring their inner selves to a new level in a hilarious new party game – HUMANITY HATES TRUMP . No, this is not endorsed in any way by Trump himself, or Cards Against Humanity, which is a registered trademark of Cards Against Humanity LLC. 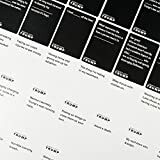 Nor does it reflect the opinions of its esteemed creators, SCS Direct Inc. But it is the freakin’ most fun you will have next to inviting Trump to dinner himself. 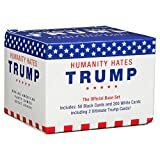 This set containers 200 White cards, and 50 Black Cards, and fits seamlessly with the Humanity Hates Trump Expansion Set and Cards Against Humanity party game and other similar games. This is a standalone game. 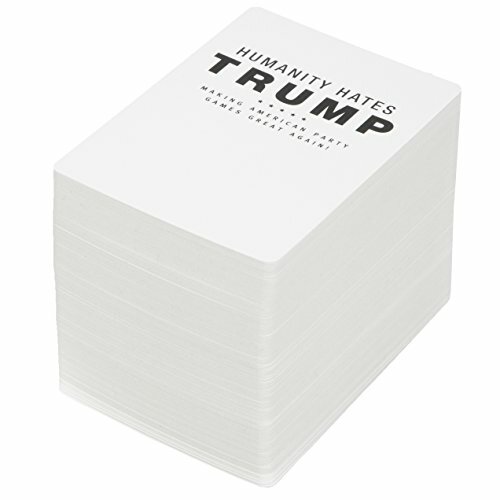 Each card is designed to be politically themed from whatever seems to come out of Trump’s mouth, or may not have yet come out but is coming. 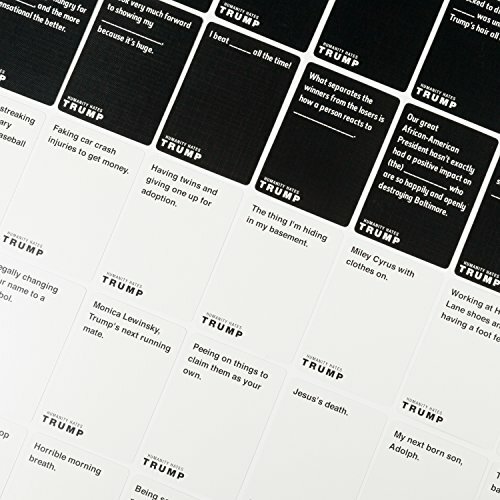 You’ll want to start flailing middle fingers at the next Trump rally every time you play. 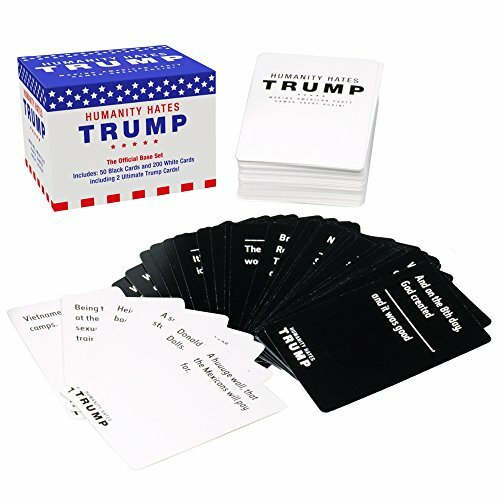 It’s all about MAKING AMERICAN PARTY GAMES GREAT AGAIN! 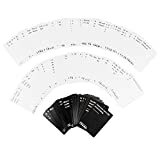 * not endorsed in any way by Trump himself, or Cards Against Humanity, which is a registered trademark of Cards Against Humanity LLC.